Although mainly seen as a concept of the Australian Aboriginals, Dreamtime was previously a far more common belief system, globally. As consciousness has changed over the last few hundred years to its current focussed, centred status, these types of concepts have fallen by the wayside. 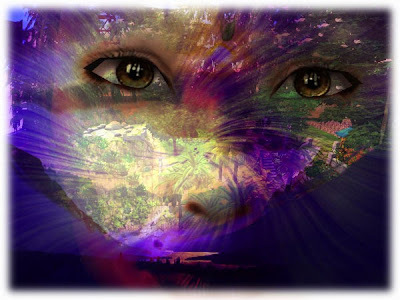 Traditionally Dreamtime is seen as a parallel space-time continuum more real than reality itself. In it Reality is merely a dream of the gods or ancestors, and we are mere dreams of Dreamers. Those of us who have spent some time in the Metaverse will know, similarly, that "reality" is merely a viewpoint. ....and so..... 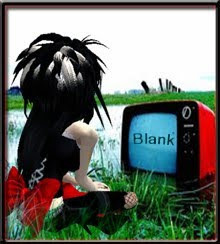 I start with this piece from IMVU by Blank called kids need an escape it seems appropriate, showing consciousness on both sides of the computer screen, as difficult as this may be for us to get our intellectualism to accept. 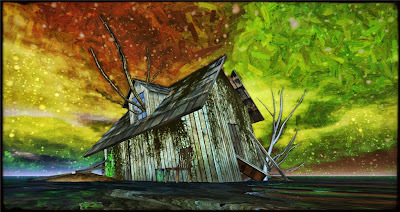 Similarly this image by mary dory from the Sims and titled Dreamboat <3 makes me wonder....am I author or just the figment of some other beings imagination?.....Questions of fate and destiny are also implied. Again a piece by Sandybvv again from the Sims, which she calls Realm of Dreams quite appropriately. This seems to me a classic image where viewer and viewed are indistinguishable, consciousness (viewpoint) not being heavily weighted in favour of one or the other. The animal soul is a highly traditional allegory for this diffused dream-like state, too. If you have spent time outdoors under a star filled sky with little light pollution you will know what an amazing experience this must have been for millions of years. This image from Second Life by sabrainsl called HouseinDreamsF gives the night sky a magic feel. It looks like the actual Dreamtime continuum is floating, glowing overhead. It does worry me slightly, with the new Blue Mars (and whatever future developments may arise) style of extreme "reality" based Metaverse locations, that as technology makes obsessive reproduction of "reality" possible, we may lose out on the Dreamtime ambiguity of Virtual Worlds that is such a joy to us all. However..... I am constantly reassured by KoinUp members and their (your) refusal to be confined to anyone else's definition of Real. Creativity is both revolutionary and anarchistic...and long may it be so.